One on one mentoring is an ideal way for you to learn all about posing newborns, natural/studio lighting, camera settings, custom white balance, exposure and how to get the best image Straight out of Camera. I focus on the ‘little things’ that make a photograph excellent, as well as how I typically shoot a newborn session from start to finish. It is an intimate way to get hands on experience from interacting with parents, to choosing props and posing. I will cover session prep, creating natural and organic styling methods, the use of angles and creating beautiful shadows. 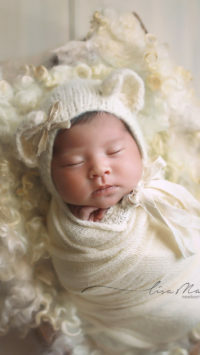 I will talk about how to pose newborns safely, and how some of the images are put together in photoshop. You will see wrapping techniques, soothing tips, and just generally how to go with the flow when you have a fussy baby. My 1:1 mentoring sessions will take place in my studio in Peachtree Corners, Georgia. We spend the day together posing, shooting, chatting, and learning. I will have newborns in the studio on the day, so you get to see the real thing (no posing with a posing doll). There will be snacks, beverages and lunch provided. I offer a second day to add to your 1:1 mentoring experience if you would like one. On day 2 you will get hands on learning where you get to choose props, pose baby and try out your new skills. I will be there with you to help, correct and encourage you as you pose. During this second day, it is a wonderful opportunity to refresh on anything you are uncertain about and to reinforce good posing and safety techniques. When you have completed your mentoring, you are welcome to call me to help with any difficulties you are having. 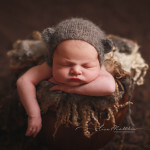 I am happy to help you along the way to becoming the best newborn photographer ever. I typically schedule my 1:1 sessions throughout the year. We will work together to figure out a date that works best for us both!! You must own and understand a DSLR camera. (Being comfortable shooting in Manual Mode will be helpful). I would like to encourage you to take some time to think seriously about this investment. 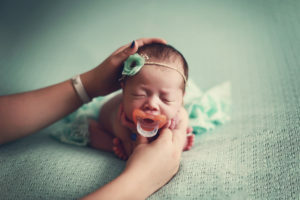 As a photographer who had photographed for 8 years, and had made my photography into a small business, the one most significant decision I ever made was to fly across the world, over the Atlantic ocean, to attend my first newborn posing workshop. It changed my life. It changed the entire style and direction of my business. I would never have been where I am as a photographer if I didn’t make the decision to make the investment. If you are serious about taking this next step in your career, then this is for you. If you KNOW that this is what you would love to do, then please send me an email at enquiries@lisamatthisphotography.com and I will send you the necessary details to put down a deposit.